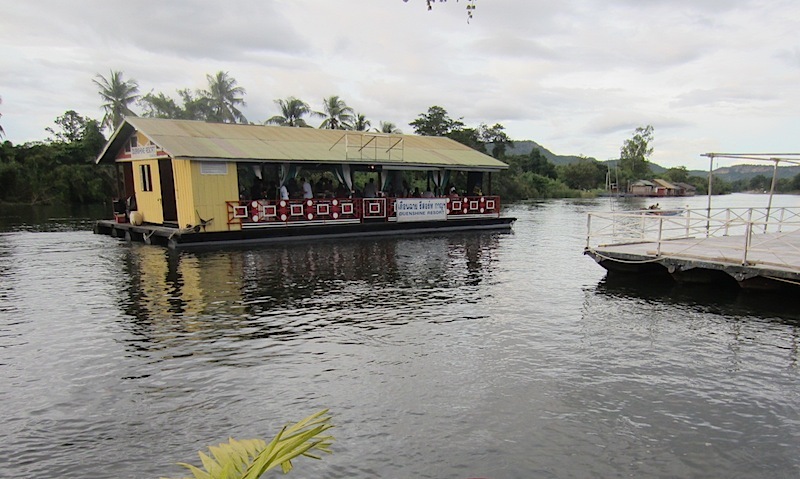 Duenshine Resort is near the bridge over the River Kwai and Sirilug, knowing the military history of the area and how closely it is linked to Australia, insisted we visit and stay here for a couple of days. She arranged everything so here we, are sitting on the veranda of our floating apartment on the River Kwai watching the river traffic go by. These boats have a large motor mounted on the transom that can be pivoted sideways and up and down. The propeller is mounted at the end of a five metre long shaft. Propeller shaft of a long-tailed boat. Party barge under tow. View from our balcony. 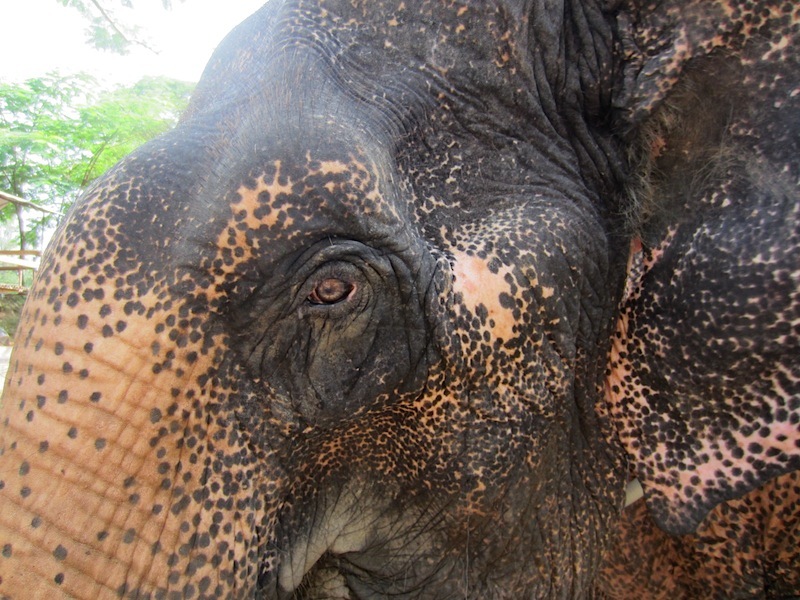 This morning we were picked up at the reception and taken for a forty-five minute bus ride to Sai Yok where elephants waited to take us for a ride. The bus wound its way through the rice fields and rainforest and every now and then the driver pulled up and asked directions of people along the road. I thought this a bit odd, as surely he had done the trip before. The guide told us they were taking a new route to the highway and this was why the driver was asking directions from the locals. The road at one stage was the width of a bike track but eventually the track widened, the driver relaxed and we were soon on the highway speeding to our destination. We were running late so our mini bus metamorphosed into a high-speed train and on one long stretch the speedo hit a 140 kph. However it did slow to 100kph through a 40kph built up area. I wrote yesterday about sleep and travel being a similar activity. Well, when rolling along today at 140kph through the traffic, I was thinking ‘I hope I get the chance to sleep tonight’. 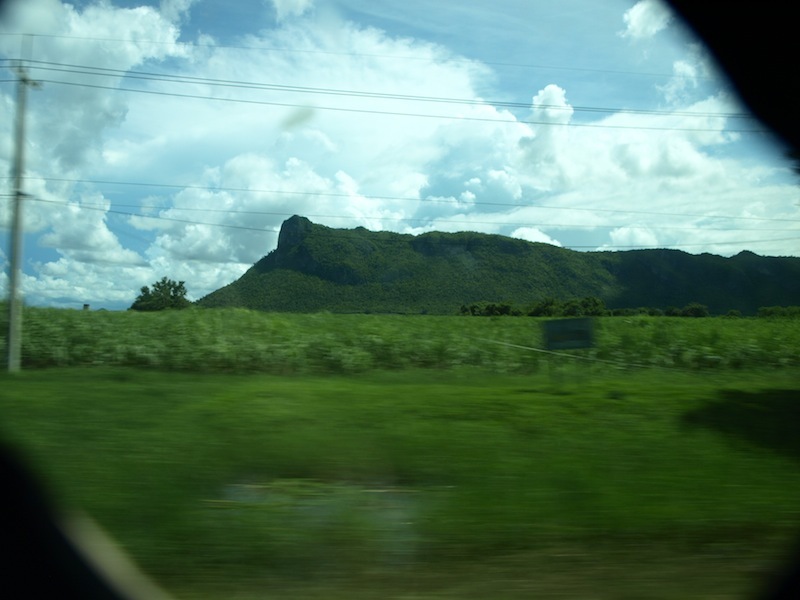 Again, today, there were lots of things to see along the side of the road, even though somewhat blurred. I came to the conclusion that bus travel for me is not totally satisfactory, as I want to be out there, hands-on as it were. 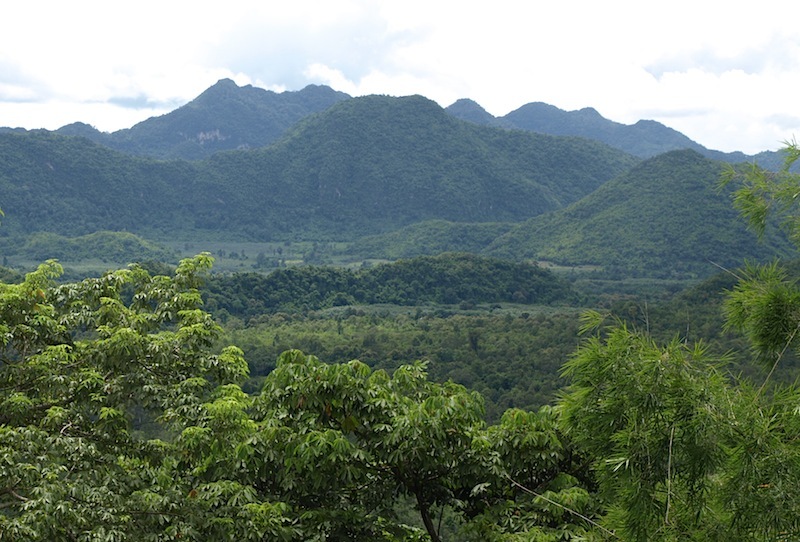 If we return to Thailand we could hire a car, which would allow us to stop and explore at will. I suggested it to Sirilug but I’m not sure she thinks it a good idea. Driving in foreign lands has a certain element of danger but because in Thailand they drive on the left, at least the chance of ending up on the wrong side of the road is reduced. 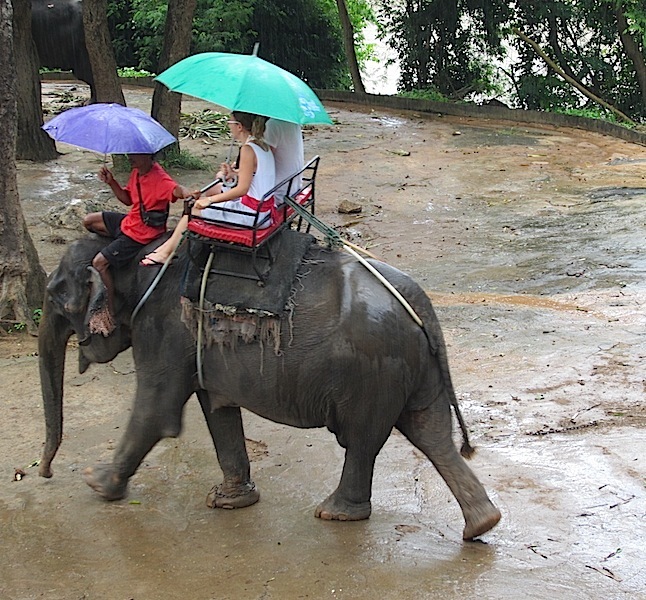 The last time Bev and I rode an elephant (not together) was at Taronga Park Zoo in Sydney when about six years old and that was many moons ago. 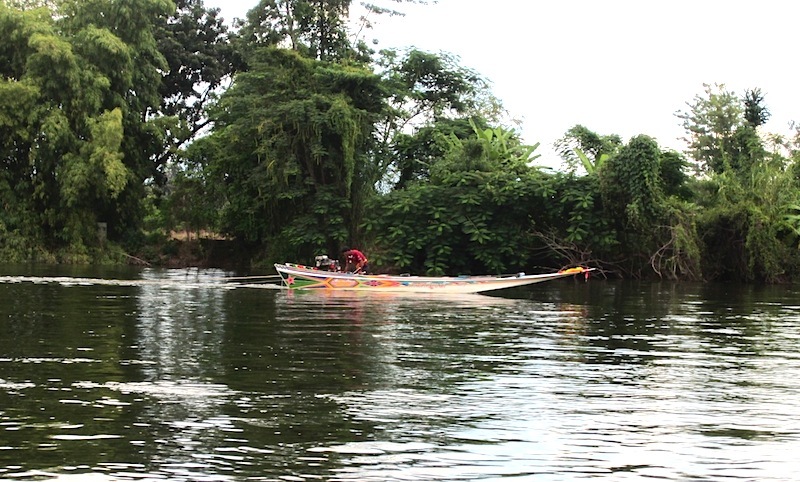 The riding component of the tour took us for a stroll through a forest and down into the river where we had the option of swimming with the elephant. We didn’t take up the swimming option because it is too much trouble getting undressed. Setting off in the rain. Playing and bathing with an elephant. 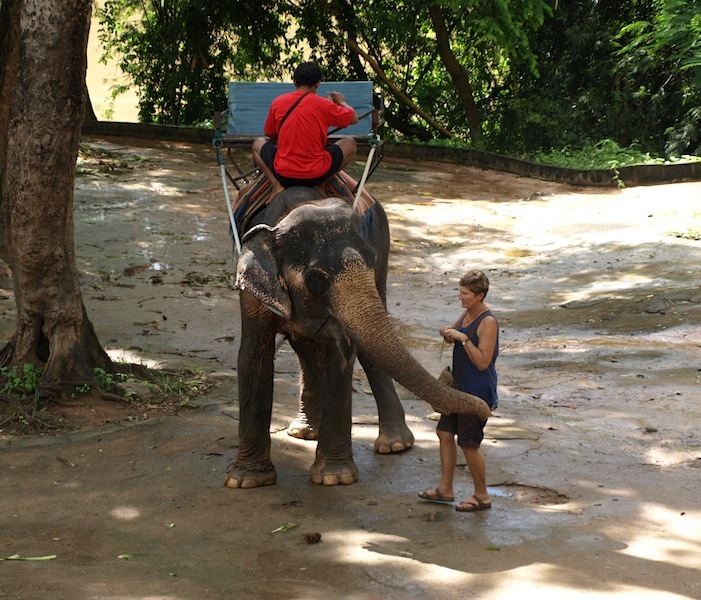 Our elephant getting friendly with Bev. 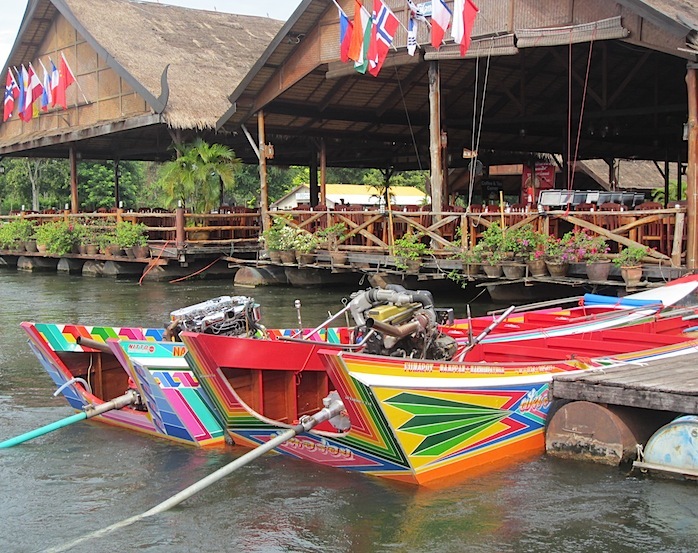 Back on our floating apartment we sat on the veranda and supped a Singha beer, watching long tailed boats speed up and down; others towed barges equipped for partying, loud music pumped and the revellers, mostly Thai, waved and smiled in typical Thai style. I can report with confidence that Thailand is still the Land of Smiles. 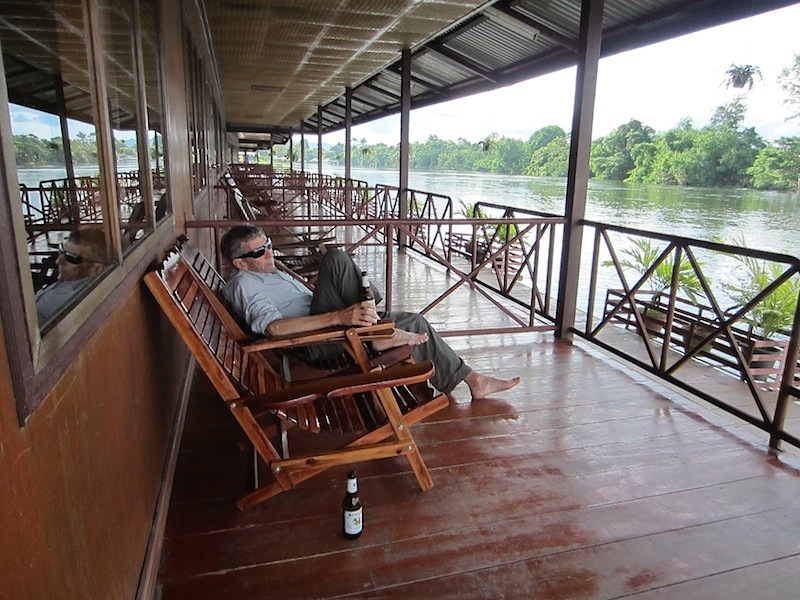 On the veranda of our floating apartment. Today we went out with the same mob that took us to the elephants yesterday. We left at eight and didn’t return until six. 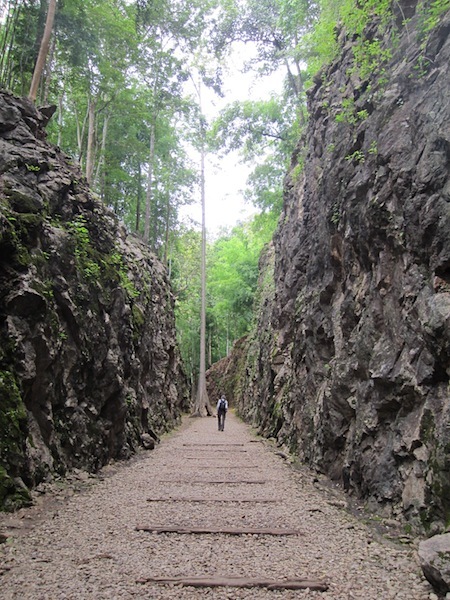 It was without doubt an action-packed day but the highlights were a visit to Hellfire Pass on the infamous WW2 Burma/Thailand Death Railway and a walk across the bridge over the River Kwai. 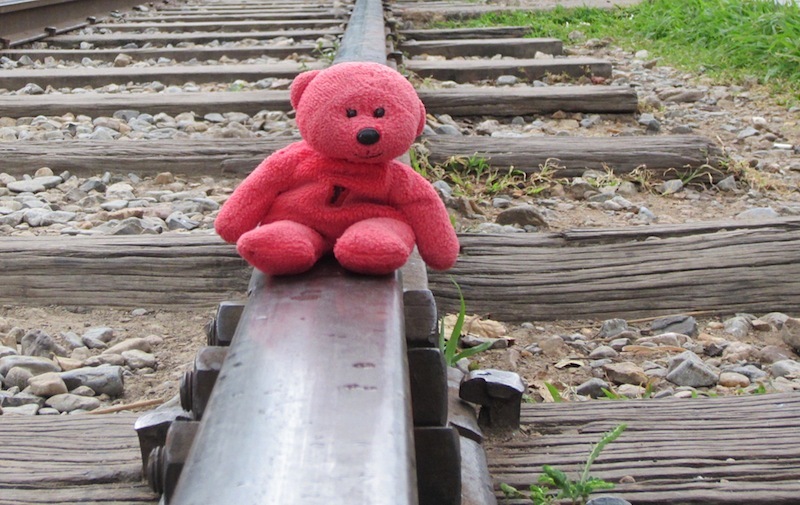 I know that some readers of this blog have done the very same thing but I would like to add a couple of personal stories relating to the railway. But first a little background history. 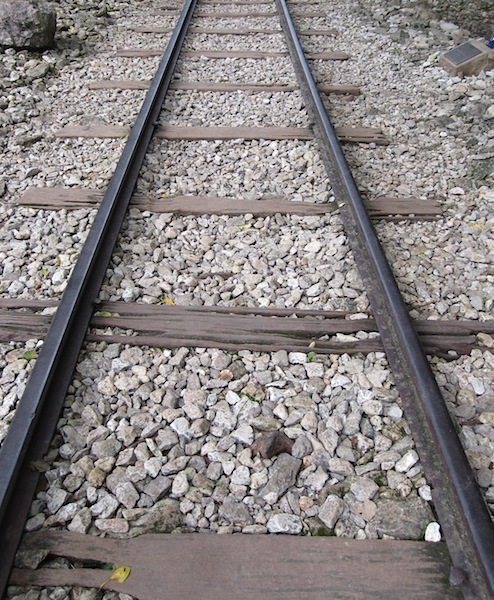 Most of the allied POWs who worked on the railway were captured in Singapore when the Japanese invaded. The British military heads at the time thought they had months before the Japanese would be anywhere near Singapore but what they didn’t know was that the Japanese soldiers were on bicycles stolen from the locals. Mounted on bikes they travelled through Thailand and Malaya in fifty-five days and caught the allies unawares. The allied soldiers could not escape the troops on bicycles. The constant pressure and relentless pursuit was psychologically devastating to the defenders, a true blitzkrieg — Japanese-style. Another reason the Japanese moved down the peninsula with speed was that the ruler of Thailand at the time had fascist beliefs and he agreed to side with the Japanese and allow them unhindered passage. Not all Thais agreed and an active resistance group was formed which fought on all through the occupation. The fall of Singapore to the Japanese Army on February 1942 is considered one of the greatest defeats in the history of the British Army and probably Britain’s worst defeat in WW2. This defeat clearly illustrated the way Japan was to fight in the Far East – a combination of speed and savagery that only ended with the use of the atomic bomb on Hiroshima in August 1945. 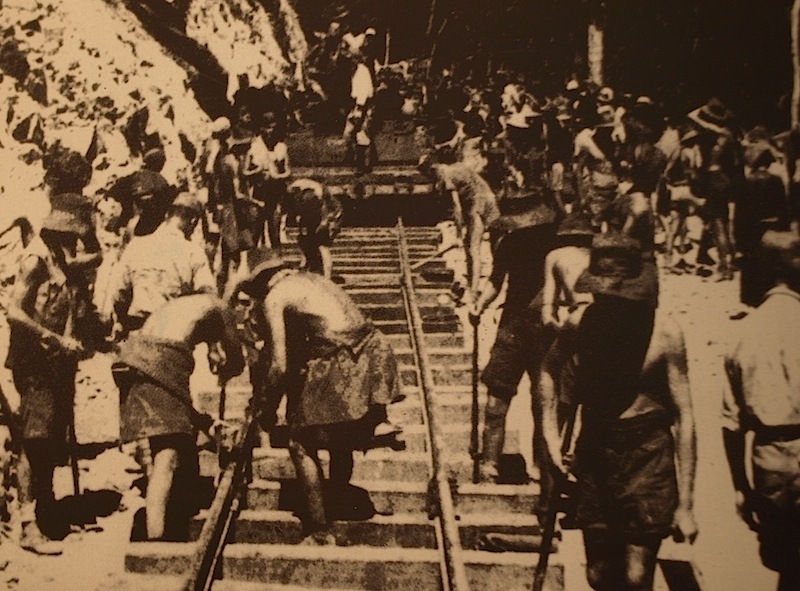 Many of the soldiers captured in Singapore were forced to work on the Thai/Burma Death Railway. 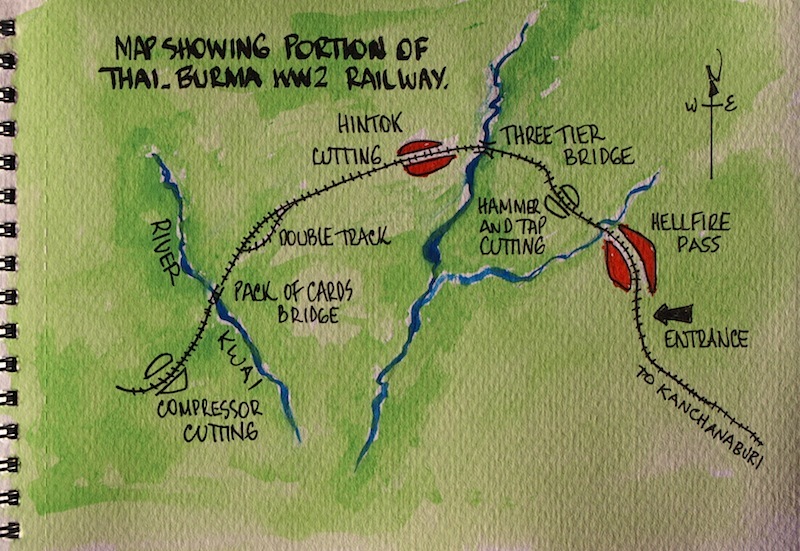 The purpose of the railway was to link Bangkok with Rangoon in Burma to provide support for the Japanese army which was poised to invade India. 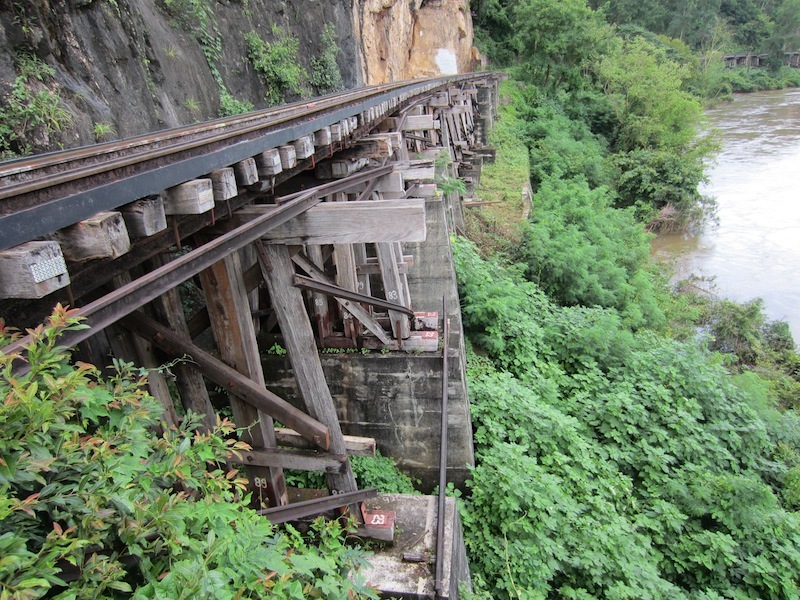 About 180,000 Asian labourers and 60,000 Allied prisoners of war (POWs) worked on the railway. Of these, around 90,000 Asian labourers and 16,000 Allied POWs died as a direct result of the project. The dead POWs included 6,318 British personnel, 2,815 Australians, 2,490 Dutch, about 356 Americans and a smaller number of Canadians and New Zealanders. 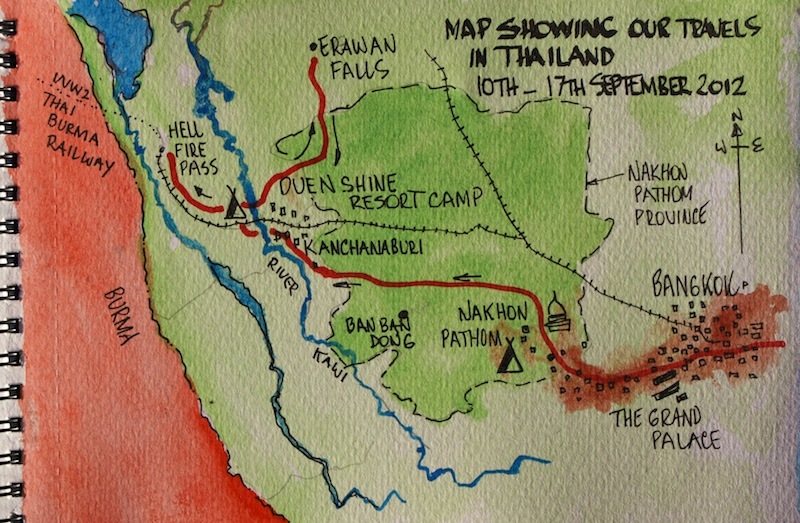 The country through which the Thai/Burma Death Rail traversed. 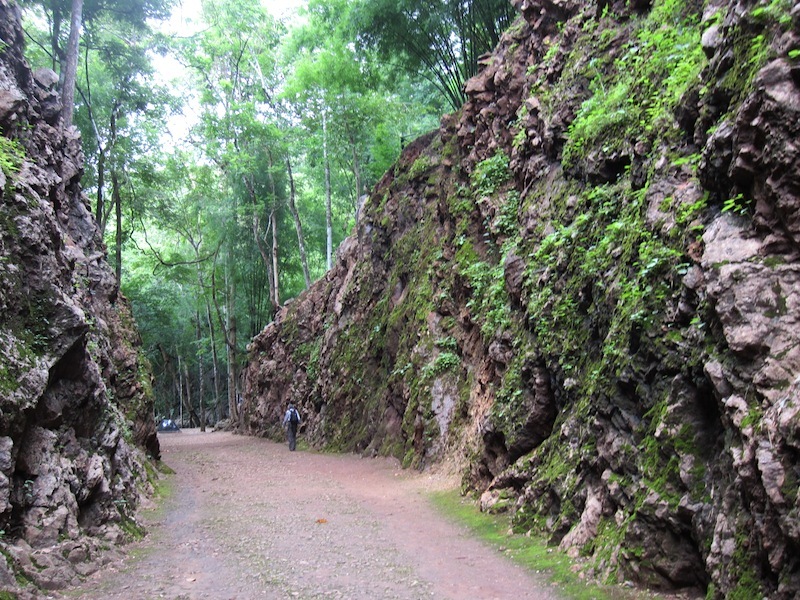 Hellfire Pass was so called because the Japanese forced POWs to work at night by firelight. 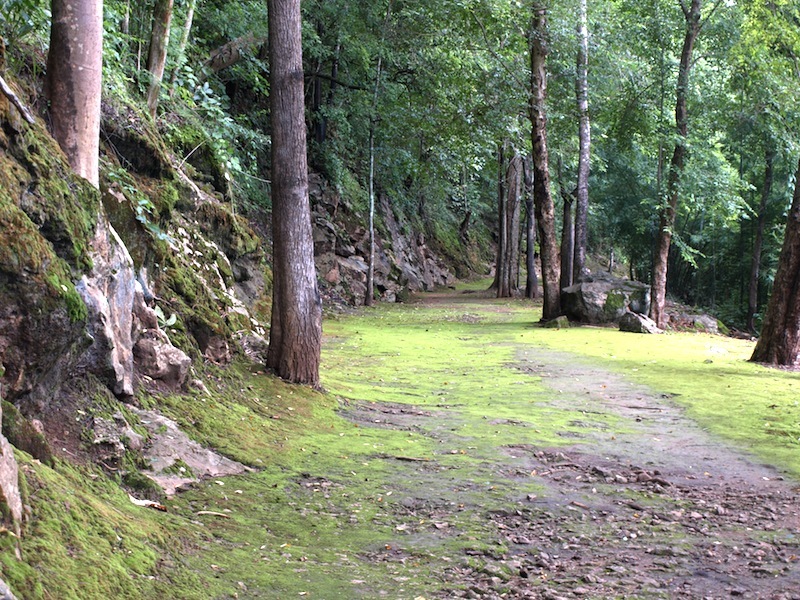 It is 73 m long and 25 metres deep and was dug by hand. The POWs started in April 1943 and finished the cutting 3 months later. At least sixty-three men were beaten to death during the construction of the pass and many more died from starvation, dysentery and cholera. More than 70 % of the POWs died while building the railway. 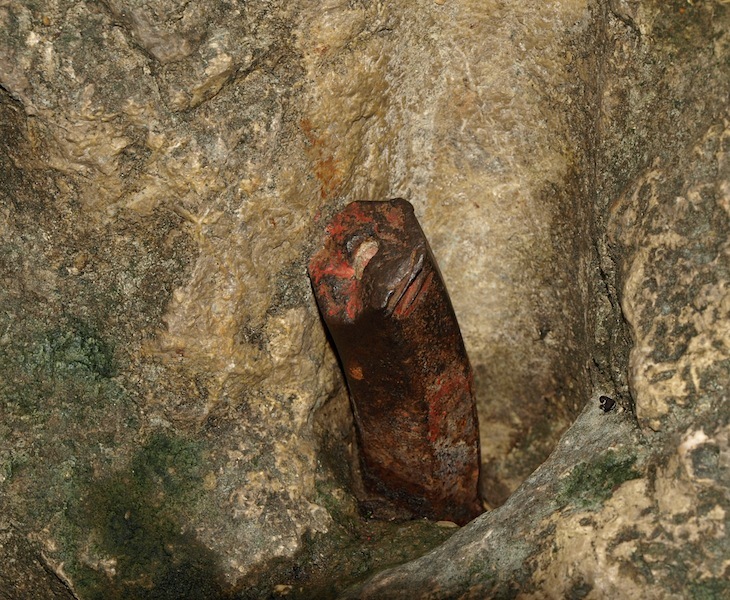 Holes had to be drilled into the rock then when sufficiently deep enough they were packed with explosive and detonated. 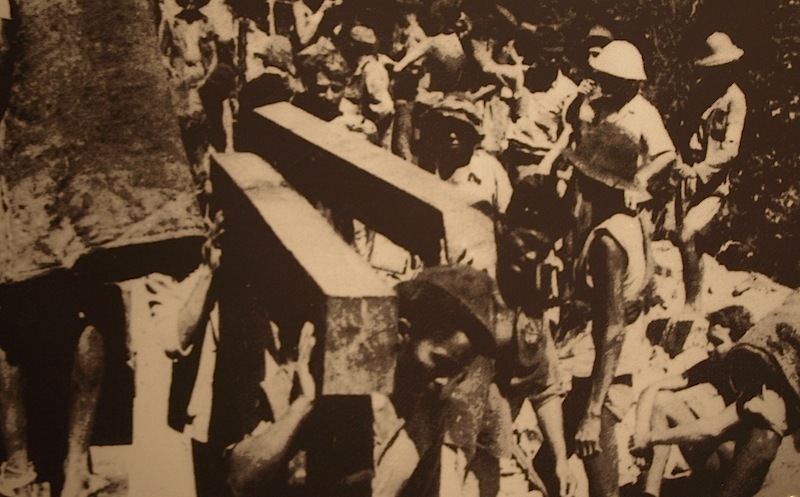 It was the removal of the shattered rock and its placement in embankments, the building of bridges and the murderous acts of cruelty meted out by the Japanese that claimed the lives of the POWs. 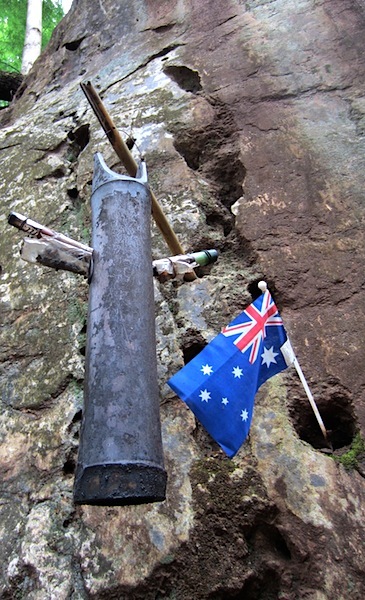 The walk through Hellfire Pass was a sobering moment; some might say that it would be impossible for us to understand the hardships the men endured but to some degree I can as when doing interviews for ABC Radio I spoke with a survivor and he told me stories of unbelievable cruelty inflicted by the Japanese. The returned POW I interviewed had never told his story before and as he related the stories he was crying. His recorded stories never went to air, they were simply too horrific. I did run parts of the story and they related to his return to Australia. I asked him what sort of welcome he received when he returned and the reply was ‘I was overwhelmed; there were a thousand people on the railway station to welcome me back. Did he go back to his old job after the war? ‘No I didn’t want to go back in the coal mine so I went working as a shearer’s cook’. Did he know anything about cooking?, ‘No but me darling wife there taught me. Isn’t she a darling?’ The interview continued with stories relating to how he and his wife had to tighten their belts when they were short of money, how he ended up becoming a builder and how, after surviving incredible deprivations inflicted on him at the hands of the Japanese, he had a great appreciation for life. The words of an Australian army doctor who tended POWs on the Burma Rail comes to mind when I think of the sacrifices men like the late Blue of Werris Creek made. ‘It gave me a great understanding of men and a great appreciation of the ordinary things in life…and the value of human relations. You know when it comes to the end, the only things that matter are the people whom you love and who love you. 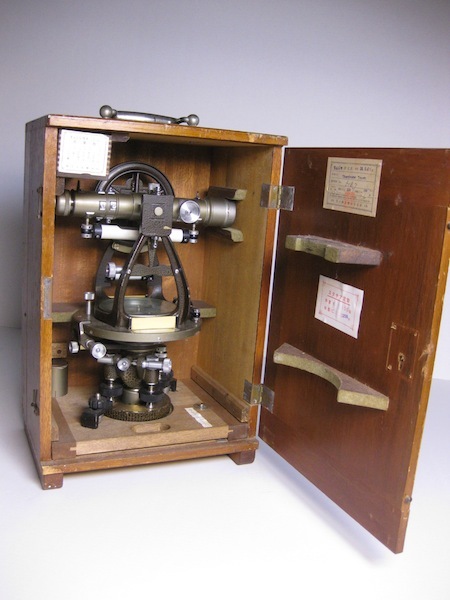 Another connection I have with the Burma Rail is a circa 1940 theodolite that may have been used on the rail during its construction. I was given the instrument by a lady whose husband was an Australian Army doctor in Burma. The story related to me was that because the doctor returned to Australia on the ship that carried men with infectious diseases the military police didn’t board the vessel and search for collected war memorabilia. 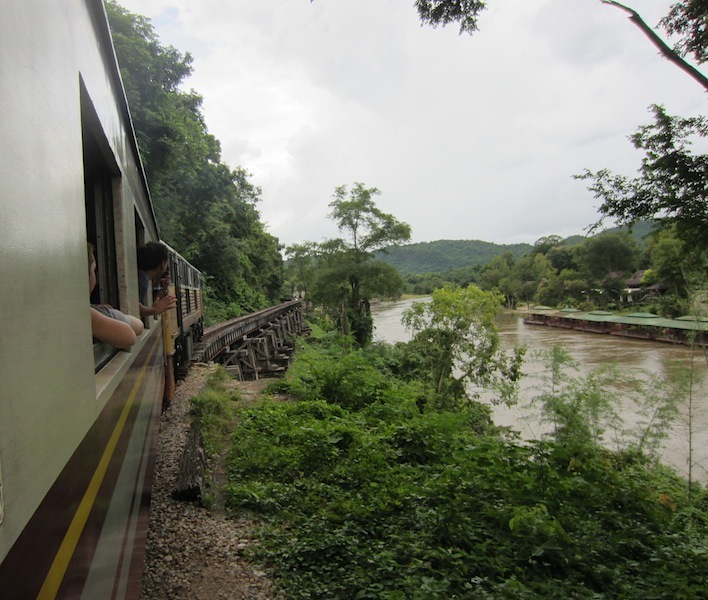 After Hellfire Pass we were whizzed off to Krasae, a small rail siding from where we caught a train along part of the Death Railway to Kanchanaburi where the infamous Bridge over the River Kawi still stands. Prior to catching the train we visited a cave called Death Cave and with every justification as POWs too ill to work were left there to die. I have to tell you that I felt uneasy in there. I asked the Buddha in the cave to make sure the sort of atrocities that occurred in the building of the Death Railway do not happen again. I’m not sure when the Buddha took up residence but it was after the end of WW2. 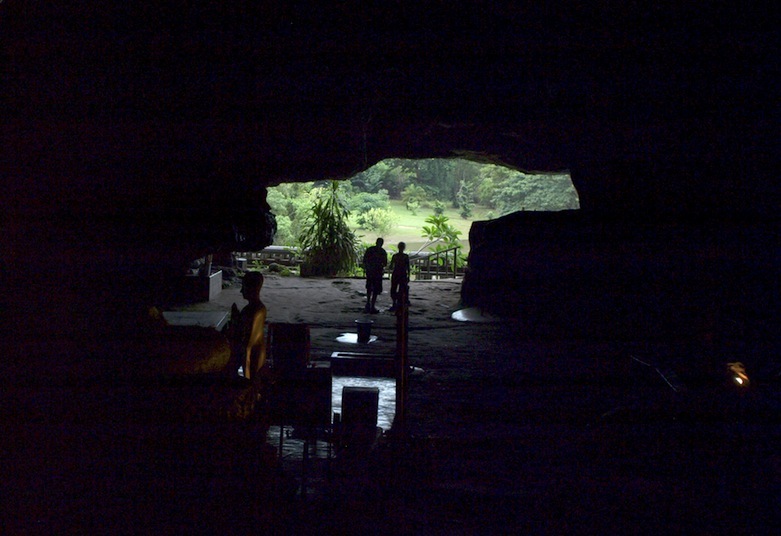 Krasae Cave, the Cave of Death. 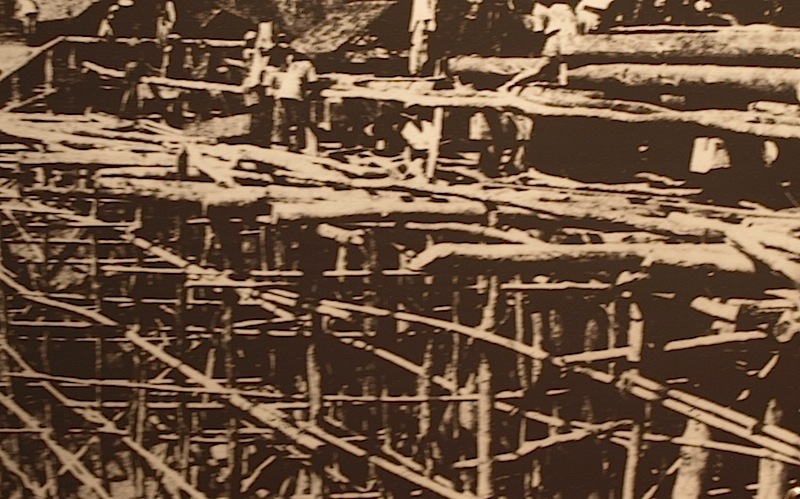 Wooden viaduct on the Burma rail. Near Krasae Cave there is a wooden viaduct and walking across and looking down all I could see was suffering and deprivation. 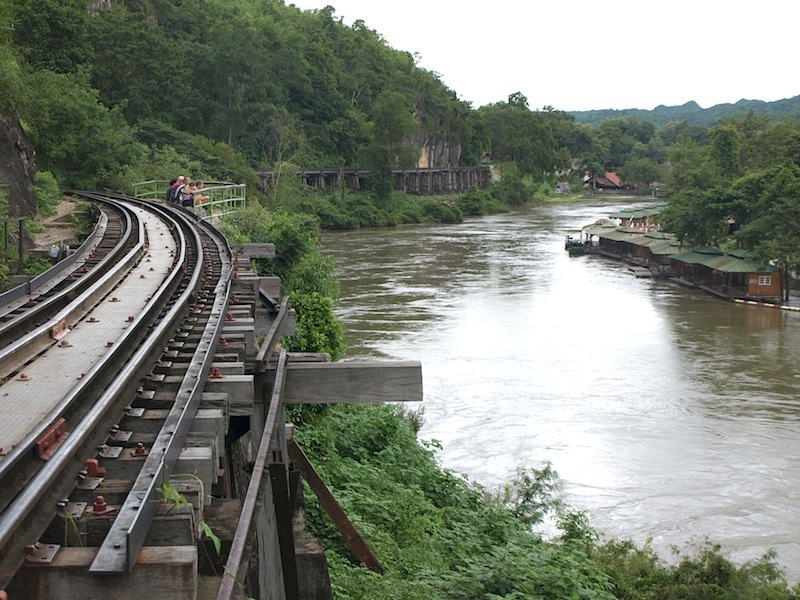 The River Kwai is about thirty metres below the rail level. The River Kwai from the viaduct. 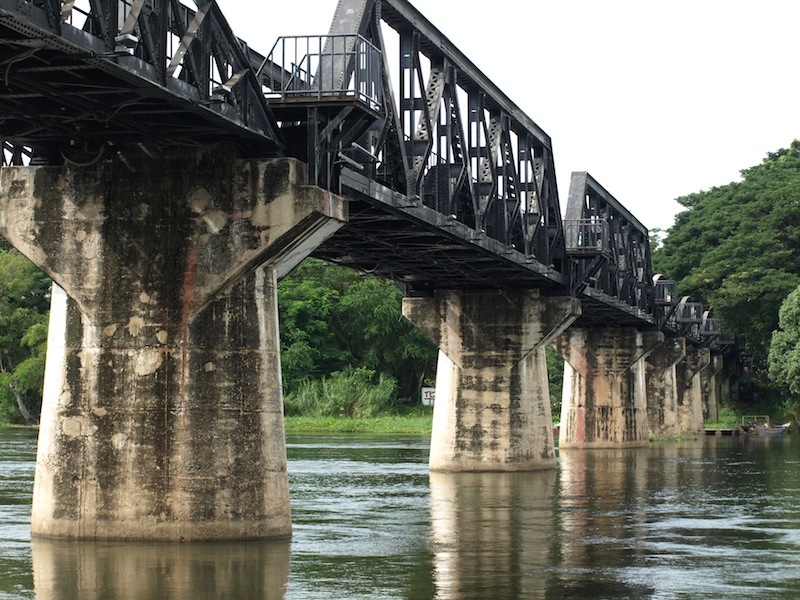 Enroute to Kanchanaburi where the bridge over the River Kwai still stands. Our friendly, articulate guide Eileen and a couple of school kids. We understand Eileen only guides part time as she is studying in Holland to become a biologist. Finally we arrived at the bridge The original bridge was made of timber and there is no trace of it, however the steel 1942 bridge is still intact so Bev and I walked its entire length. 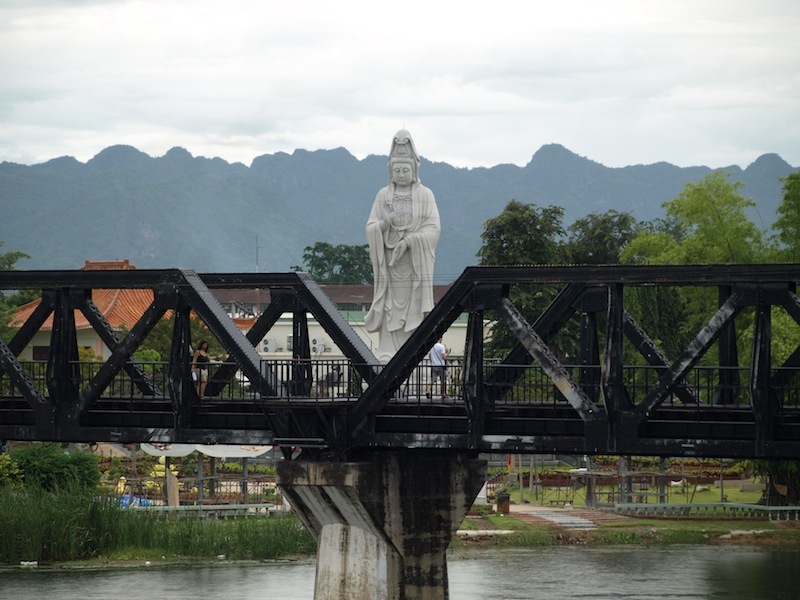 POWs built the present bridge and soon after it was trafficable the American air force bombed it and as a deterrent the Japanese chained prisoners to the bridge. The present bridge was pre-fabricated in Japan and placed in position in 1942. Let your imagination drift back to when WW2 prisoners were chained to this bridge. T Bear checking out some of the line. Returned to the resort around 6-00pm and again supped on Singha beer before dinner. 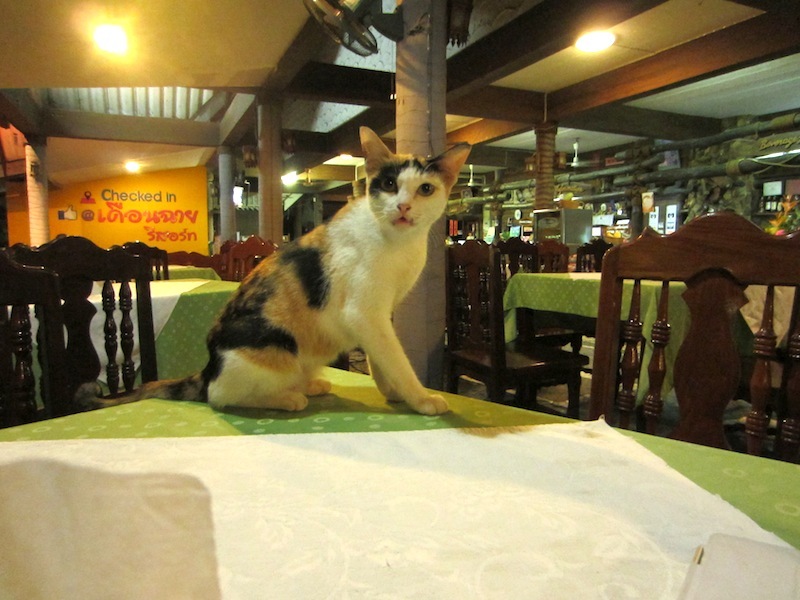 Dinner was uneventful until a cat wanted to share our meal. It actually jumped up on the table and as you can imagine I gave it short shift. So sobering those atrocities, def need to love and live as best we can!